This Saturday there is another chance to catch 3 of the best shows in Edinburgh! 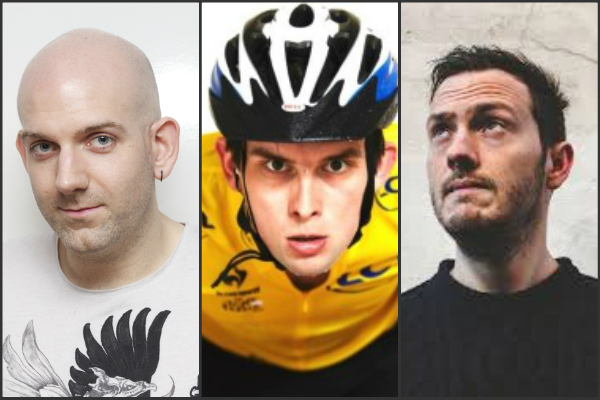 Three of our favourite acts Kieran Hodgson, Chris Coltrane & Stuart Laws will be committing their recent Edinburgh shows to celluloid for prosperity (filming them), and best of all it’s all free! In 2003 Lance Armstrong won his 5th Tour de France title, and a young boy in West Yorkshire believed in him. Now a character comedian, he (the boy) returns to the Fringe with a heartfelt and hilarious story of growing up, betrayal by professional athletes, and redemption. Star of What the Future, The Lentil Sorters (BBC Radio 4), not star but definitely in Siblings (BBC Three), Count Arthur Strong (BBC Two), Alan Partridge: Alpha Papa. ‘Top five of the Free Fringe 2014’ (Times), ‘Elegant and impressive…really funny’ **** (Fest), ‘Hodgson is delightful to spend time with’ (Guardian). A new hour of super-fun political comedy from your second-favourite activist comedian called Chris Coltrane. Friendly, uplifting Tory-smashing punchlines, for fans of feminism, socialism and joy. Come for the comedy, stay for the revolution. **** (Chortle.co.uk). **** (Scotsman) **** (Skinny). ‘The future of British political comedy’ (Mark Thomas). Stuart Laws: Who Said Anything About Stopping It? Third show from the guy who makes all the comedy with Turtle Canyon Comedy and supported James Acaster on tour. He is also an atheist on a Christian football team, was a young ornithologist and is such a feminist that he spells misogynist: msogynist. ‘Laughs come thick and fast…definitely one to watch’ (Fest). ‘Confident performance of confident material…priceless’ (Chortle.co.uk). ‘Loads of ideas and inventive gags littered throughout. 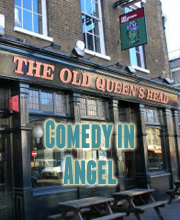 Had everyone in the room laughing, and led to a big crowd-pleasing ending’ (ShortCom.co.uk). ‘Irritating stand up from an irritating man’ (BroadwayBaby.com). Praise for Who Said Anything About Stopping It?